In the good old days Moon's was most famous for their 10-cent hamburger. 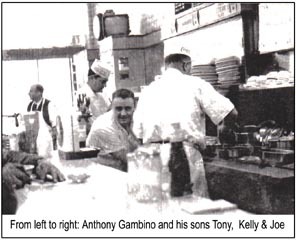 Their hamburger, according to Joe (Di Nina) Canzoneri (one of Anthony Gambino's nephew's through marriage/and early employees) had a recipe like an Italian meatball with bread crumbs and eggs. So secret was this recipe that it was made behind closed doors by the owner himself ! They were also known for their 5-cent hot dog. 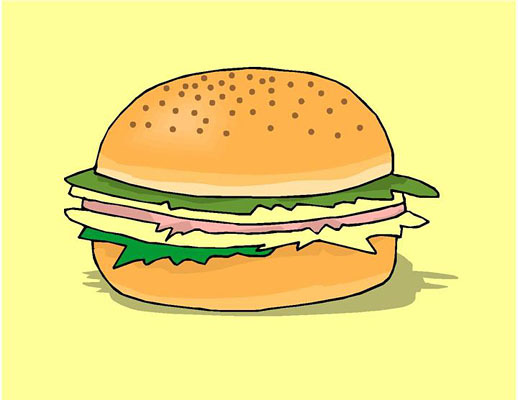 Served on a steamed bun with mustard, relish, onions, pickle and a slice of tomato (and lettuce according to some). This was truly a Chicago style hot dog. Could this be where the Chicago style hot dog got it's start??? One of Chicago's original sandwich shops. Most people that were around in the 30's, 40's and 50's and that frequented one of their resturants have their own unique memories. The stories about Moon's are so varied which would explain why Moon's itself is shrouded in a kind of local urban legend. Some people remember them for their hamburgers or hot dogs, others remember the breakfasts or deli sandwiches. Many just remember it as a friendly place with great food. And that would probably explain why there were so many of Chicago's finest (police officers) always at the counter. Surely each location had it's own individual specialty. One thing's for certain... Moon's Sandwich Shops made a memorable impression with thousands of Chicagoans. Was Moons the inspiration for what we know now as fast food? Was Moon's the influence for Chicago based McDonalds? Or, just inspiration for so many of the Chicago hot dog stands we've taken for granted for so many years. Like Jimmy's on Grand and Crawford (Pulaski), direct competition for over 15 years to the Moon's in the same neighborhood. Or Gene's and Jude's in River Grove, Illinois. Moon's was, to say the least, one of Chicago's first hamburger and hot dog chains and deserves some long overdue credit as the precursor to some of the best fast food in the world. 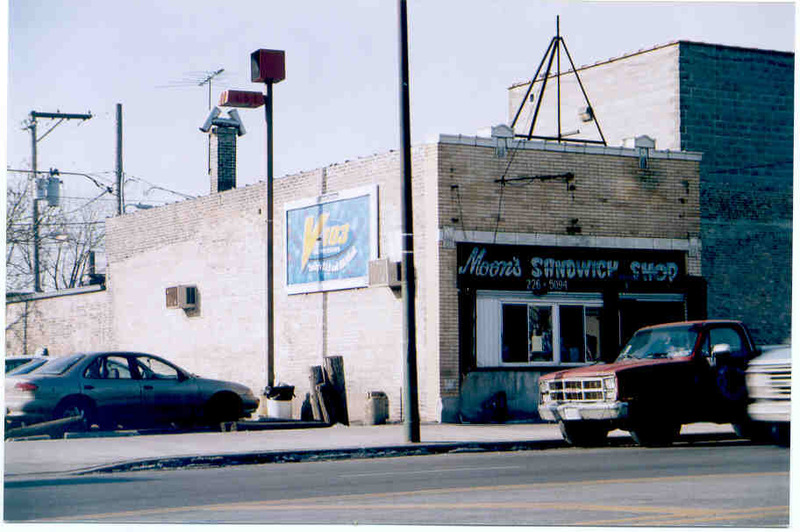 Moon's Sandwich Shop at Western and Madison (directly West of the United Center) is the original Moon's, opened in 1933 and still in business today. 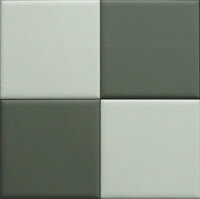 Open 7 days a week, 5:30 am - 3:00 pm M-Sat, 7:00 am - 2:00 pm Sun. Owner Jimmy Radek offers dining in, carryouts and even deliveries (for a slight additional delivery charge) of delicious breakfasts, lunches and dinners. 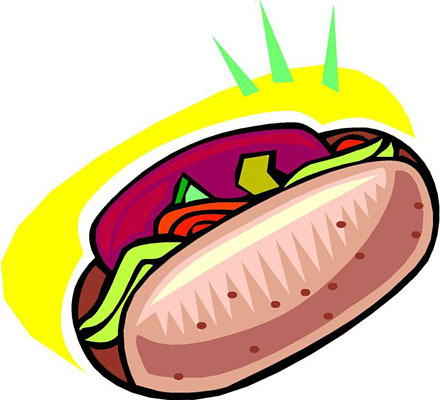 They have several daily specials including Moon's Famous Corned Beef sandwich or dinner! Anthony Gambino Sr. opened the first Moon's in 1933, located at 16 S. Western Ave. Please note... This is a work in progress. As a relative of some of the original employees, I am piecing together this brief history (just for fun) from the memories of those familiar with Moon's. The stories I have heard are old and I can use all the help I can get from anyone with knowledge of Moon's. Please view our guest book and feel free to sign in and share your knowledge and/or memories. You can e-mail me at manfrejim-2004 (at) yahoo.com if you would like to submit any info or old photos. Please be sure to include the word Moon's in the subject. Were there any other Moon's locations not mentioned on this site? Which Gambino was nicknamed "Fats"? Who owned the Cook County Mobile Home Park? We sure could use more vintage photos to post. The Gambino's: Tony III, Mary (Shaw) and Rita (Lorry). The Canzoneri's: Joe (di Nina), Joe (di Rose), Charlene (Autry), Angie Matelli & Marie DeMondo. Janet Rausa Fuller staff reporter at Chicago Sun-Times. And, of course Jimmy Radek. 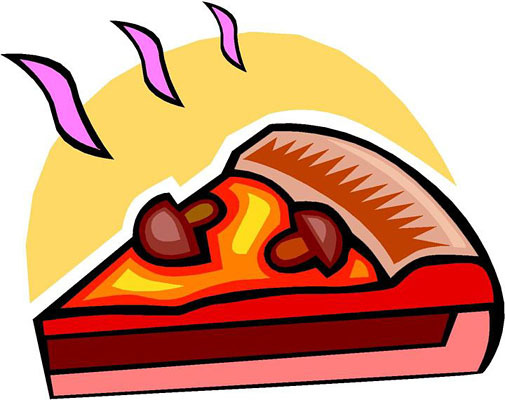 Click here: "Check Please" WTTW Channel 11 Food Review!